Concussions, what are they ? Instead of explaining concepts with words, I will try to write this essay visually. So here is what I know about concussions after researching them for the last two decades trying to grab what happens. We are used to seeing transparent brains with the brain essentially moving violently bashing into the confining shape inside the brain case. That is a very rough view of a concussion. But before we talk of brain motion how is our brain actually built? How does the brain really move? This image is of another observation of Yakovlevian torque. Our human brain is lop-sided. It’s not a perfect mirror image of the left with the right as if a mirror was right down the middle, having equal volumes of brain mass on each side in perfect relationship with each other. Since we are verbal mammals we have developed specific verbal language skills that have actually expanded our bone around the brain to accommodate our verbal skills, a bone change called petalia expansion. In the transverse plane of the image the lop sided cortex mass associated with language skills causes rotation within the brain. Swing two buckets of water with very unequal amounts of water in them with your arms and spin about your vertical axis, What do you feel through your arms? You feel torque twisting into your torso, acting at the center of your body mass. This sensed rotation is the physics of translating a force from one direction into another circling in on itself force. Everything works because we are in a gravity field. 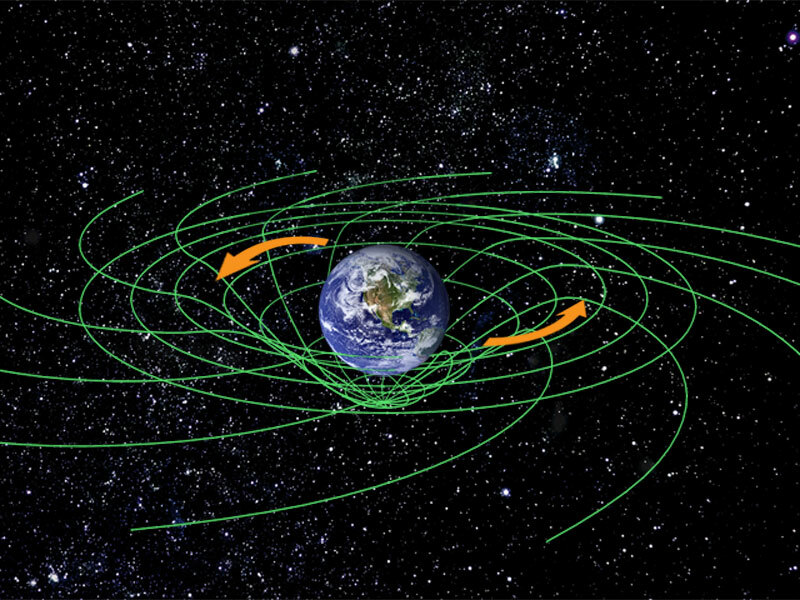 Gravity Space Time is bent around our planet. All life orients within this acceleration to Earth gravity, except when astronauts venture into space flight. Orientation to up is no longer sensed within the gravity sensing apparatus of the otoliths. Yuri Gagarin the first Russian astronaut when asked,” What do you feel?” Answered with, ” I feel upside down,” even though he was looking at Earth below him. But the huge advantage that spaceflight changes which is mimicking a strong concussion is the change in sensing gravity. All manner of autonomic changes occur to adapt to this loss of gravity sensing. The heart changes pacing, the body aging process accelerates, the very bones of the astronaut become thinner over time. These are huge autonomic changes wreaking havoc on the billion years old mammalian reliance on shape based sensing in a gravity vector. 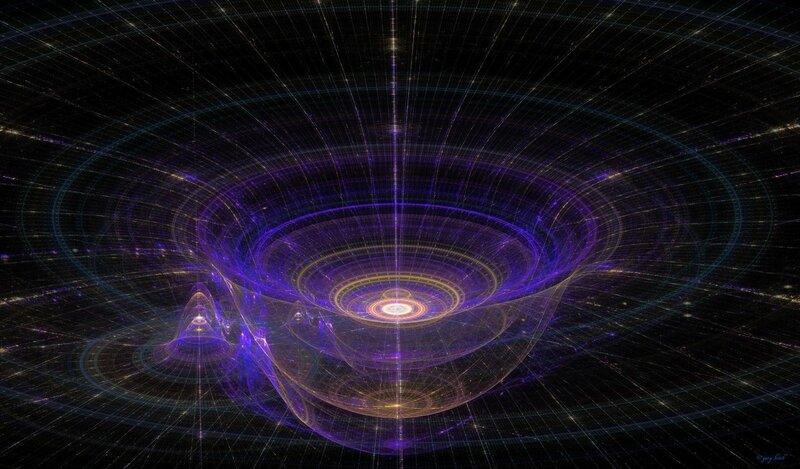 All life senses the basic direction to gravity, everything relies on this sensing. Spaceflight and concussions are a gravity based injury, that is where their metabolic signatures overlap. The vestibular system is primal into establishing the very alertness of our perceptions to run our autonomic system so efficiently. How do we sense shape in gravity? 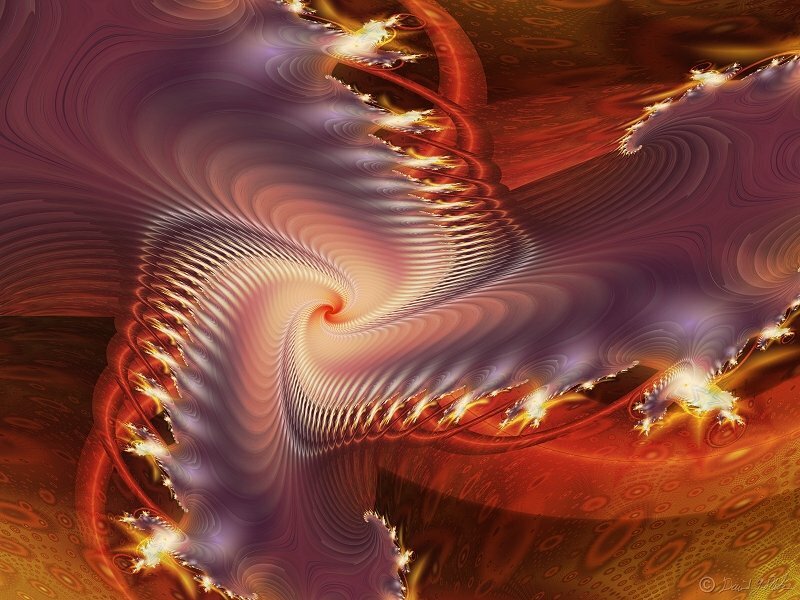 Nature has many shapes but fractal shape as a vortex of attraction appears universal in dimension yet practical in it’s accomplishments no matter how bizarre the design may appear this is the kind of template of gravity based construction balancing tension with compression. 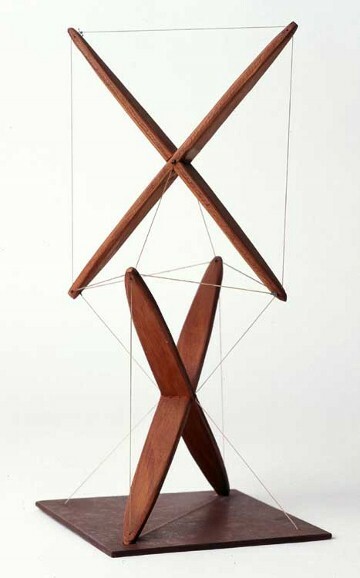 I have referred to Kenneth Snelson the outstanding artist who first constructed suspended shapes which are the design blueprint within Nature t oward assembly according to all the efforts of Harvard’s Donald Ingber to describe such biological assembly into coherent meshes of support within cell groups. Watch the Snelson floating tension model in the gif video. What is a particular characteristic is the inherent spin of the compression shape change twisting onto the central axis. When I asked Donald Ingber, ” Is our brain a tensegrity structure?” he replied with the wisdom of his expertise that, ‘yes it essentially is.’ Now we have Yakovlevian torque plus the inherent torque of a Snelson floating tension mesh structure. Place this whole design performance into the pulsatile motion of a beating brain what do you get with a concussive blow? You get essentially rotation into the central brain structures of the brain. Forget about a wobbling jello analogy of how our brain moves. 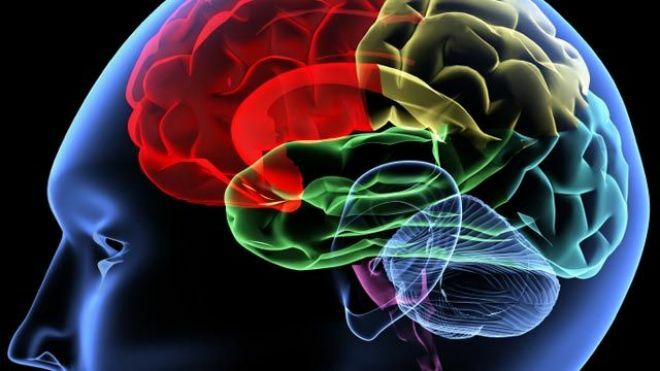 The mammalian brain has evolved over hundreds and hundreds of millions of years from a floating tension balance with compression elements scaled both at the cellular level all the way up to the entire shape of a human brain. Our brains are not homogenous jello that wobbles around in our brain case. They are a based on a Snelson net of immense integrity that consume shape changes into communication nets capable of integrating vast quantities of sensing into a staggering level of channels of coordinated output like controlling our emotions, our desires, our memories, our fractal heart pacing, our very bones moving- all dependant on the presence of a gravity orientation vector. Where might the impact of a gravity injury affect the human brain? Where should we look – what behaviour might give us a clue as to the gravity injury that involves both space flight or concussion. The answer lies tantalizingly inside the womb as our brain self builds using a calibration process that synchronizes our sense of gravity to a very poorly understood reflex, why we yawn. As a pre-term baby practises the yawning coordination, a huge communication sequence gets established in the display of the muscles involved with yawning. Yet yawning, we are taught, is because we are tired or bored. Yawning is so much more. Yawning is the reflex to coordinate our brain within the gravity field. I call this the Gravity Space Time reflex, it’s so overlooked yet to be such a significant part of all mammalian behaviour. All mammals yawn, birds, lions, giraffes, wolves, sharks and the big apes including us humans. 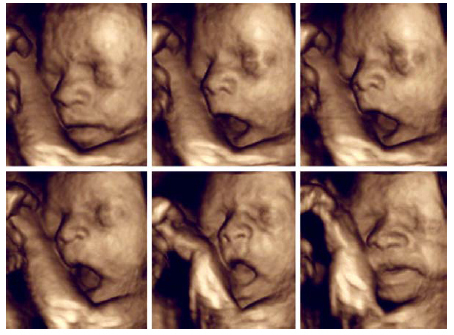 All babies yawn in the womb except autistic children. We have much to learn about yawning. 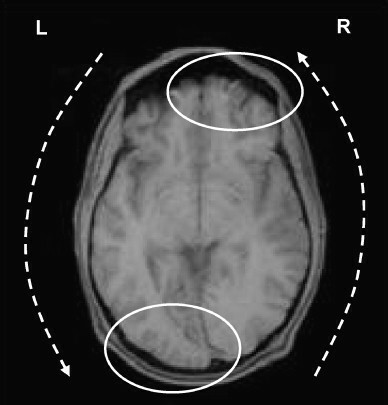 The zone of vulnerability for both the astronaut and the concussed can be viewed concentrated at the susceptible level of the brain stem zone surrounding the locus coeruleus marked LC in the diagram above. 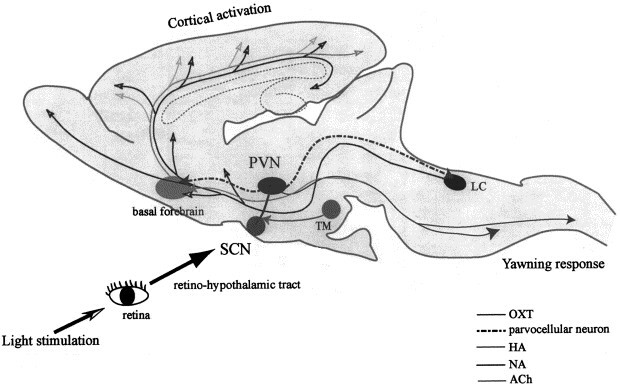 As the first morning light enters the retina to commence the awakening sequence, this changing level of light invokes the yawning reflex to re-coordinate the coordinate sense of the brain to its position in space time harmonized to the gravity vector within a 3 dimensional volume, what we call our concept of matrix space around our body form. 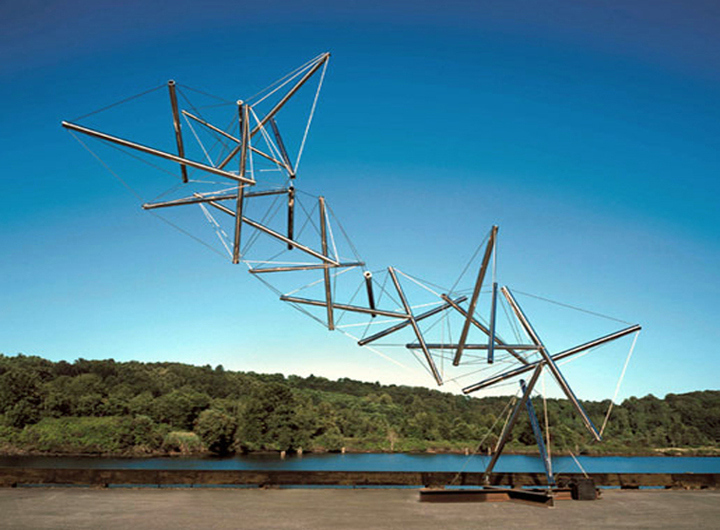 The floating tension compression that Kenneth Snelson first created in 1948 was the first glimpse of how Nature actually arranges things in 3 dimensional space. Here in 2013 we are only beginning to grab the significance of his genius insight into how Nature makes things fit together. Implicit within this elegant first floating tension suspension is the concept of handedness of chirality of a left and a right. Twisting into the structure will reveal its innate resistance but also its elastic compliance to return to its resting position of balance by rotating onto itself in the main axis from the reference frame of being inside a gravity field. 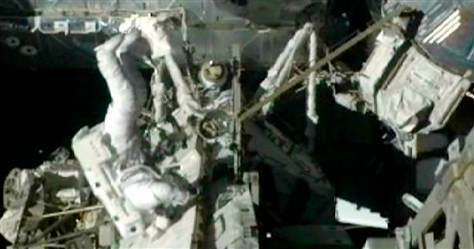 The surprising aspect about Snelson’s sculpture is that it can be assembled in zero gravity like in space above the Earth. In fact all space structures can only be assembled under compression tension balance in outer space. Below, the Snelson structure appears unbalanced yet it can still maintain its shape without gravity. So shape becomes both the balance of compression with floating tension in the final balance of form. So if we return to our original question what is a concussion ? We invoke a huge shift in our understanding that first and foremost that a concussion depends on how the shape of our brain dictates it’s response motion, especially where that motion is most vulnerable within the anatomy position of the Snelson floating tension design toward revealing its position. That is how in our lab where we are beginning to study where a concussion starts. 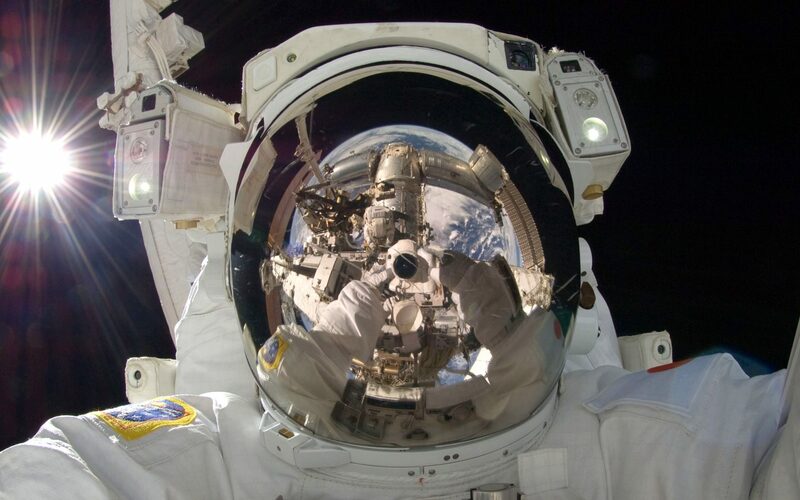 As the floating astronaut gazes at himself in the vacuum of space suspended in the absent gravity expanse of space surrounding him, he is without the tether to gravity support orienting all life signalling in the floating Snelson tension/compression mesh that is the structure within his brain now not functioning properly in the absence of the gravity vector well. 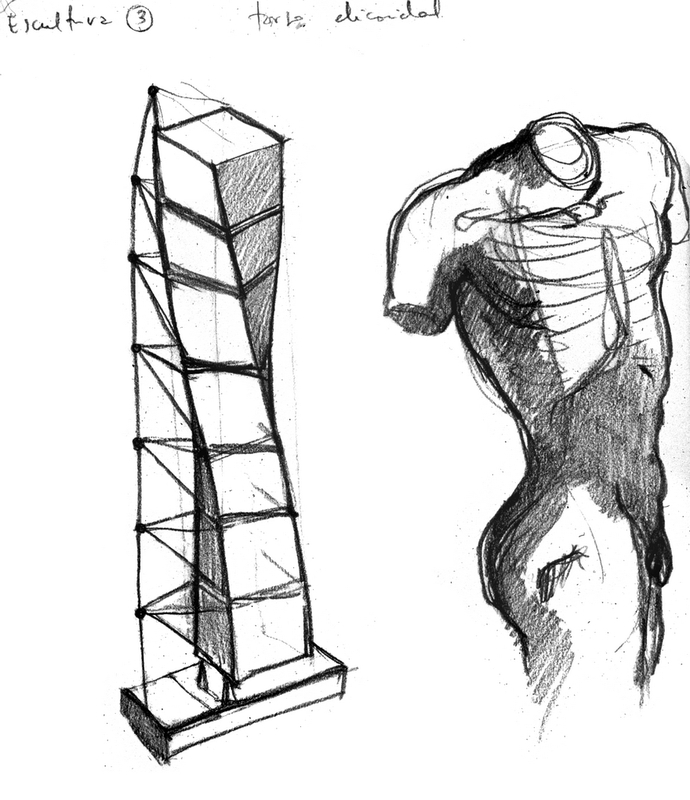 The very special relationship within the back bone of the astronaut can be transferred with the artistic Spanish architect, Santiago Calatrava use of tensegrity styling to mimic the very backbone of the torso alignment of the human vertebrae. The same back bone vertebrae when exposed to the absence of the tethering support of a gravity well reduce the very density of the astronauts bones once his five month mission has elapsed. So that is the Nature of beginning to unravel the complexity of a concussion . How the quest becomes the signalling of shape -the form of shape itself in self assembly beginning with hard form like the stress absorbed patterns seen inside bone relating to the very soft shape of brain and how it elastically behaves in its anatomical form. To be the viewer of this concussion the observer must take the context of gravity influencing onto the space time continuum. Montreal Grandmother, Agnes Kent was saved by Raul Wallenberg from certain death, when he provided papers for her and her Mom to escape away from the Nazis. Today when asked what that escape meant, she replied,"Remind people, that while statesmen and whole countries remained silent and did nothing, a single individual chose to act, with ramifications that proved enormous. Similar choices confront us today. Write that simple truth she said, it can never be repeated often enough because the world keeps forgetting it."